Max. capacity ( length x thickness): 3" x 16 gauge. Power Requirements: 110V/220V , 1-phase. Bend Angle: 0 – 180°. Max. Clamping Bar Lift Magnet: Unlimited. Distance between lifters: 39 13/16". Packing size: 48" x 44" x 15". Net Weight: 320LBS, Shipping weight: 390 LBS. The Magnetic Sheet Brake separates itself from the conventional sheet metal brakes though its endless amount of bending possibilities. With just a common 220 volt single phase power supply, the magnetic sheet brake can bend boxes or pans to almost any depth, as it is not reliant on conventional finger depths. 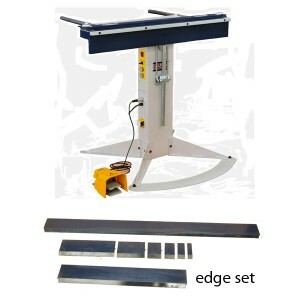 The magnetic sheet metal brake can bend items such as totally enclosed boxes, triangles, round items such as scrolling applications, and much more. 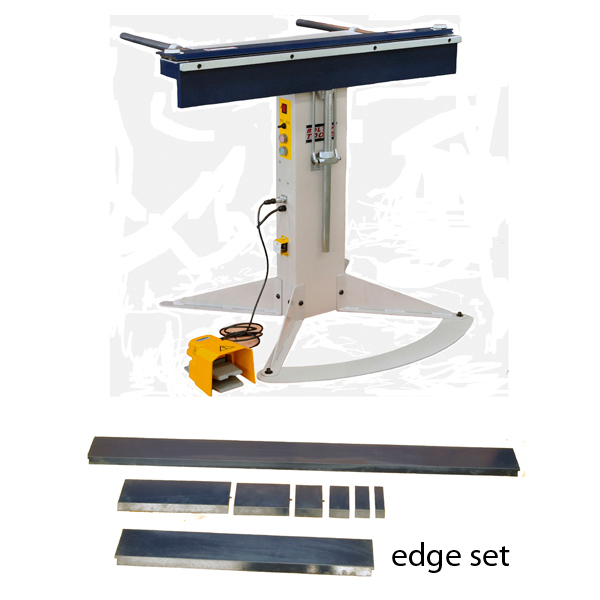 It is perfect for bending sheets of mild steel, stainless steel, aluminum, coated materials, heated plastics, and many more.